What do you do before a performance? If I feel somehow out of focus, I try to play some folk music. Or I play the third movement of the Beethoven piano trio op. 70 no. 2 – it fits my hand perfectly, this tune. One thing that sometimes feels useful as well is for me to think about what is the piece about: what is the first thing I want to radiate at the audience when I go on stage? It’s a tie between being in Kaffibarinn, a rowdy pub in Reykjavík, playing Steve Reich’s Violin Phase with three other violinists from the MCO, and in Merano, listening to Beethoven 7 after having played the concerto. I had never had a better time performing the Beethoven concerto, despite (or thanks to) the fact that the conductor had cancelled his participation in the project. Afterwards, I was given a glass of white and a front row seat to see the MCO play Beethoven's Symphony no. 7, and I had never heard it performed in such a way. Everyone took complete ownership of the performance, and it was an explosion of dance and love. And my first concert with the MCO of course, at the Liszt Academy in Budapest. That was in early-ish June 2014. Described as “one-of-a-kind” by Toronto’s The Globe and Mail, Pekka Kuusisto is renowned for his fresh approach to repertoire. 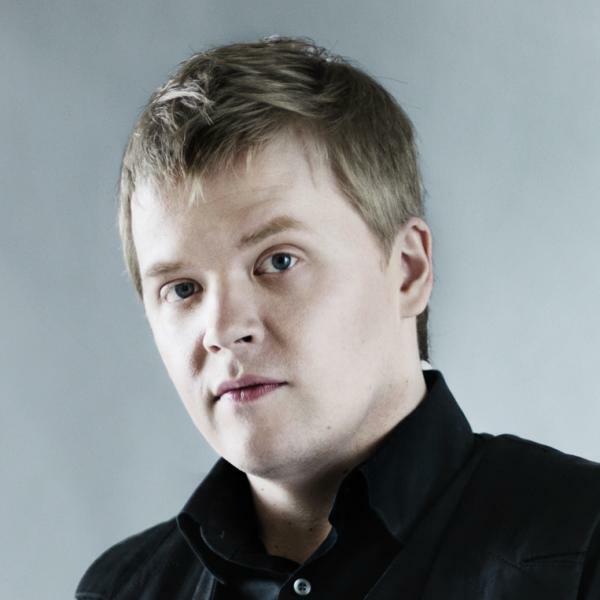 Widely recognised for his flair in directing ensembles from the violin, Kuusisto is Artistic Partner with The Saint Paul Chamber Orchestra and Artistic Director of ACO Collective - a string ensemble of Australia’s most talented young professional musicians delivering innovative projects across the country. In 2017 he became Artistic Best Friend of Die Deutsche Kammerphilharmonie Bremen, whilst in 2018 he is Guest Artistic Leader of the Norwegian Chamber Orchestra and announced as Artistic Partner of the Mahler Chamber Orchestra. Other directing engagements include regular appearances with the Tapiola Sinfonietta and Swedish Chamber Orchestra. Concerto highlights of the 2018/19 season include debuts with Rotterdam Philharmonic Orchestra and the Aurora Orchestra, with whom he will embark on tour playing Thomas Adès’ Violin Concerto under the baton of Nicholas Collon in London, the UK and in Singapore. He returns to the Scottish Chamber, Philharmonia orchestras, Deutsches Symphonie-Orchester Berlin, and WDR Sinfonieorchester Köln, as well as touring throughout Europe with Helsinki Philharmonic Orchestra. He also takes up a season-long residency at the Wigmore Hall. 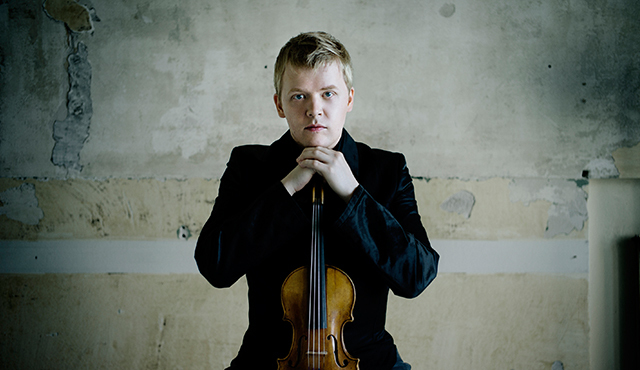 The Finnish violinist is an enthusiastic advocate of contemporary music. Recent and upcoming premieres include concerti by Sauli Zinovjev, Anders Hillborg, Andrea Tarrodi and Philip Venables. 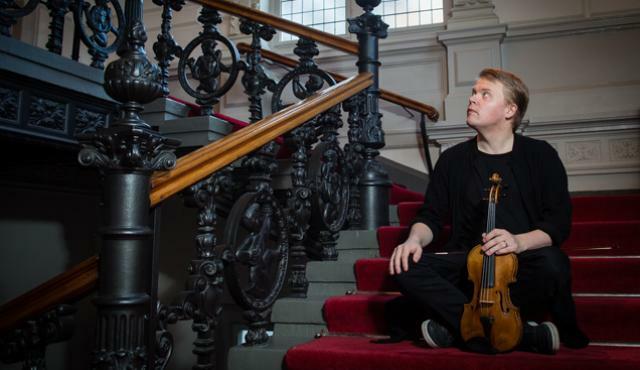 This season he will continue to perform Daníel Bjarnason’s Violin Concerto with the Iceland and Detroit symphony orchestras, as well as its Finnish premiere with the Finnish Radio Symphony Orchestra. As a composer, together with Samuli Kosminen, Kuusisto is composing, performing and recording the music for a new animated television series of Tove Jansson’s Moomin stories. Kuusisto is a gifted improviser and regularly engages with people across the artistic spectrum. Uninhibited by conventional genre boundaries and noted for his innovative programming, he has recently collaborated with Hauschka and Kosminen, Dutch neurologist Erik Scherder, pioneer of electronic music, Brian Crabtree, and American folk artist Sam Amidon. Kuusisto is Artistic Director of the award-winning ‘Our Festival’, which takes place annually in Sibelius’ hometown, Järvenpää. Kuusisto has released several recordings, notably for Ondine and BIS. Recent releases include Erkki-Sven Tüür’s Noesis, Concerto for Violin and Orchestra for Ondine, and Sebastian Fagerlund’s violin concerto Darkness in Light for BIS both recorded with Finnish Radio Symphony Orchestra and Hannu Lintu. This season he records Hillborg’s Bach Materia and Bach’s Brandenburg Concertos No.3 and 4 with the Swedish Chamber Orchestra and Thomas Dausgaard for BIS.